Joann's fabric store can be a dangerous place. There are so many cool projects and crafts! Especially with B, you have to have a plan of attack before you go in. And I thought we did. We planned out his Valentine's Day box. He was going to make it look like an alien from Ben 10. We went in, got the supplies and he was happy. Then I needed to pick up some fabric for Sam to make a stuff mole for Chemistry. While searching for mole fabric, B got another idea. 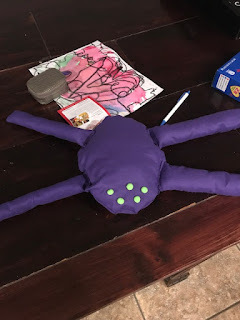 He wanted to make a spider plushie (stuffed animal) for his teacher's new baby. He was going to sew it. I didn't figure he would actually sew it but I thought I'd give him a chance. 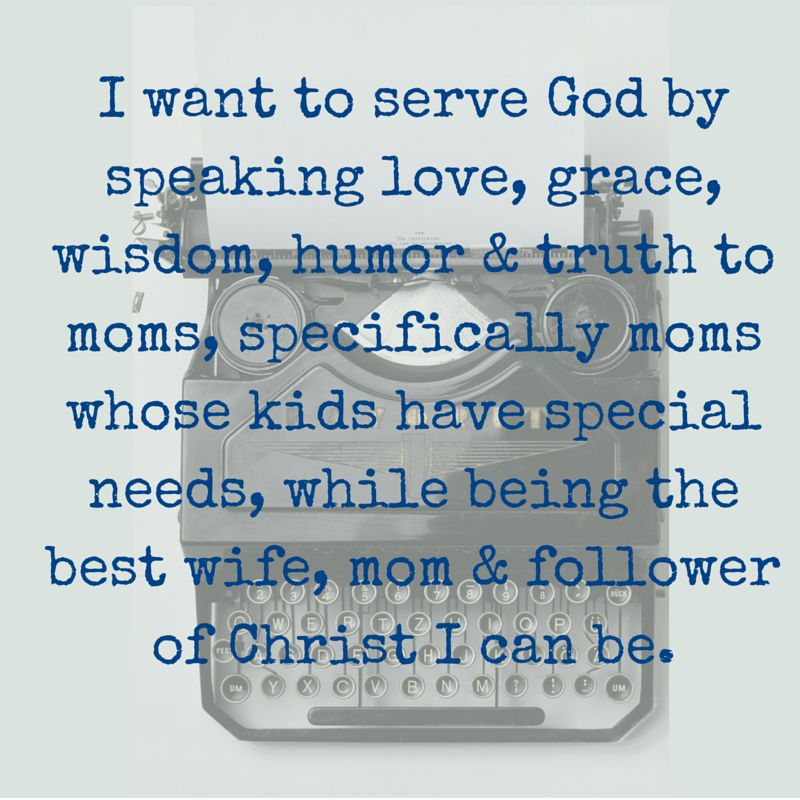 Plus, I didn't feel well enough to argue with him. I wanted to get home and get back in bed. So, half a yard of purple fabric was his! We already had to get stuffing for Sam's project, so he was good there. I stayed in bed much of the rest of the day Saturday. B used his time making his Valentine's Day box (not the alien from Ben 10 we'd planned on), playing with a new Makey Makey I won at my conference (more on this tomorrow) and starting on his spider. He'd said at Joann's that it needed to be a cartoon-ish spider because his teacher was actually afraid of spiders. By the time I got out of bed around 4:30 he'd already cut out the body and was attempting to sew it. Most of the time, in projects like this, I try to guide B, give him directions and help a little. But I'm here to tell you, I had no intentions of sewing a spider plushie. I figured one of two things would happen: 1. he'd get frustrated and we'd use fabric glue. 2. he'd get frustrated and give up. Honestly, I was good either way. I never expected choice number 3. Ryan was watching the Olympics when B asked him to help. Ryan's mom does a lot of sewing and B had decided "since you're from the sewing grandmother" he could help. And he did! Ryan sat on the couch, watching the Olympics and sewed the spider's round body. I went back to bed in the meantime but I understand there was some discussion of making a head and a compromised reached of just making a body. Sunday afternoon, Sam was working on sewing his Chemistry mole and Ryan was still working on the spider. Earlier in the day (again while I was still in bed with a nasty sinus infection) Ryan and B had discussed the spider's legs. They settled on a very cartoonish 4 legs. And Ryan was toiling away on those. Sam had used the sewing machine (thank you Rae Harvill and her design theatre class for teaching him the sewing machine) for his mole. I offered to sew up the last two spider legs on the machine. Lickety split they were done. Ryan was less than thrilled that he'd been toiling away sewing this blasted thing by hand. To feel like I had done my part, I offered to sew on the spider legs in a most cartoon-y fashion. After receiving my instruction and oversight from B, I completed my work. B used fabric glue to adhere the very cartoonish eyes and the spider was done! B took the plushie to his teacher yesterday. She declared that it was cartoon-y enough to not scare her and that she loved it! I loved the whole process. I love that B swept Ryan up into his project. The whole thing was really very sweet!